This is a Blue 1967 Mustang center cap. 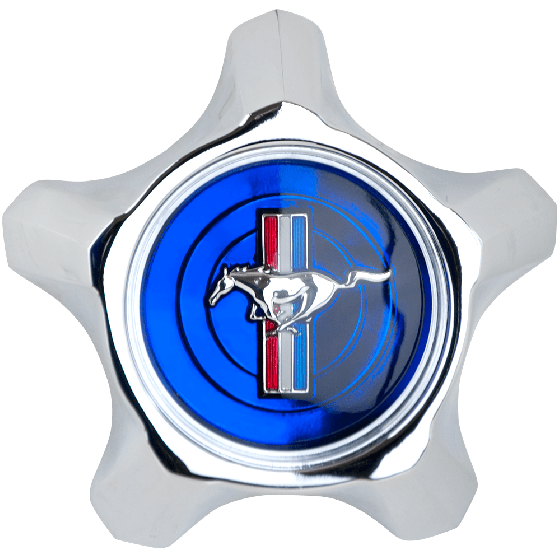 This 1967 Mustang hubcap feature a blue center with classic Mustang logo. 1967 Mustang hubcaps have the logo without the script of the earlier red center cap design. This authentic Blue 1967 Mustang center cap fits our Mustang Styled Steel wheel. Please check your actual wheels required cap fitment size. We have the blue cap listed here: Blue Mustang cap. We sure do! Feel free to add to cart and enter you information in checkout for a total. We are a non-resident importer, so all duty/tax, brokerage and international shipping is included in checkout.